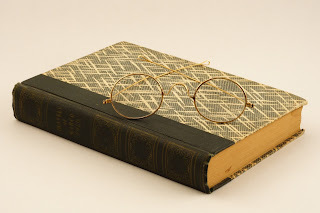 Some Days There's Pie: The Habit of Reading - How, then, shall we read? The Habit of Reading - How, then, shall we read? 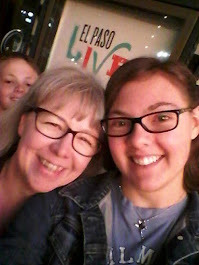 I am planning to do a little bit lighter writing on the weekends with five sturdy habits and then some more lighter topic types of posts... like reading and family play and such. My Sundays may have something a little shorter but devotional in nature. We will play it all by ear. How About Those Reading Habits? This is one I have struggled with and let me tell you why. When I was growing up I often felt "guilted" about reading. It was one of those things that I was not suppose to do unless it was for homework or all my other chores and such were done. It wasn't shaming and it wasn't like I never saw my parents read because I did. My Mom read all the time! It was just an attitude of work before play and reading was classified as play. I still carry this with me to a great extent. I have to give myself permission to sit and read for enjoyment. This is probably why I don't read a lot of fiction. That is just fun reading and I feel compelled to be "working" at learning and accomplishing something instead. The funny thing is... I love fiction when I get to read it! I didn't say it was right to approach reading like this but it is what has happened to me over the years. I am still working on overcoming it. I have tried to encourage my children to read some every day. They are far better readers than I was and have read far more books than I did by that point in my life. They feel no shame in sitting and reading for hours at a time and it shows in their vocabulary and understanding of the world around them. Reading makes you smarter... there is no debating that. 2. Take on some books for reviewing so that I push myself to read more and varied kinds of books. 3. Stop and sit down at some time during the day to read outside of the Bible reading and study time. 4. I have a morning book that I only read in the mornings and an afternoon book for down time and an evening book that I only read before bed. I keep one for all three going at the same time. I often have a study book to go with my Bible time in the mornings, too... like a commentary or topical non-fiction theological book. 5. I shoot for at least 50 pages a day outside of the Bible reading. 6. I have joined reading challenges and read-a-thons to push myself to read more over shorter periods of time. 7. I move between shorter books and longer books as well as adult and young adult fiction and non-fiction to give myself bouts of quick success in finishing something shorter while I push through on the longer texts. 8. I have reading places.... a chair outside, a chair in the living room and one in the bedroom and I am definitely a librocubicularist (simply 'one who reads in bed'). Every space has a blanket and a place to set a coffee cup when necessary... which is often. * Technology is a huge time waster for me some days. * I often feel like all the chores and jobs for the day have to be done first. * I also struggle with the overwhelming amount of books I want to read sitting in stacks around my home. I have gotten rid of over half of my stash but there are still shelves and stacks to read. * The level of activity and noise on any given day in our home is not typically conducive to quiet reading time. * The overwhelming amount of free and cheap e-reader books out there fill my devices and taunt me. * I am trying to stay off the internet until later in the day. * I am refraining from checking my phone and took FB off so that I am less tempted by that. * I am working on doing chores earlier in the day in a big block so I can set aside afternoon time to chill with a good book. * I have a small stack of books by the bed that have to be read before I can add anything else to the stack. * I make lists of books (in my Bullet Journal) that I want to either check out of the library or find at the local used bookstore. * I have cut my spending by unsubbing to all the free and cheap book finders to keep them out of sight and out of mind. It is working! I am not a huge fan of electronic books but on a trip they are fantastic. I do own both a Nook and a Kindle because I got great deals on both at the time. When you see me, though, chances are very great that I will have a hard copy of a book in my bag or hand on any given day. I love this site when looking for series because I am a completist. 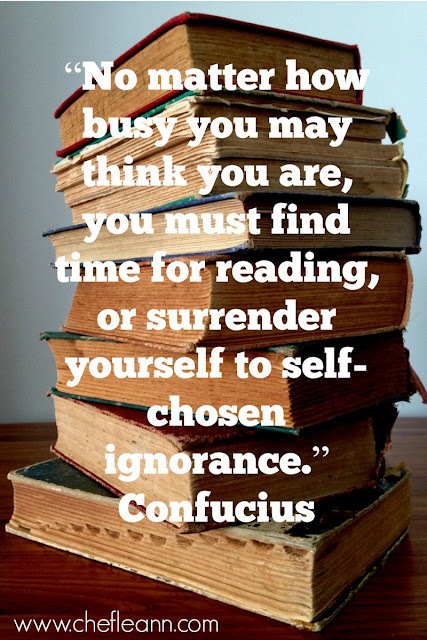 Do you struggle to find time to read or do you have a balance with allotted time to read each day? How many books do you strive to read in a year? Any suggestions for more bookish sites or tips on reading more? 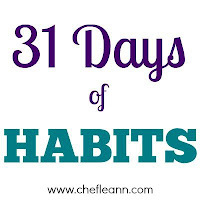 Click my logo below to read more on habits for this month. I am the opposite of you in this respect - I tend to read before I do any work. Reading time is usually around dinner, with longer times on Saturday morning and Sunday afternoon. Like everyone else, electronic media is a distraction. In 2014, reading a book a week helped increase my reading time, but 90% of that was fiction, which I love. The "one nonfiction book per month" for 2015 isn't going quite as well. Yes, my one fiction per month is not going well either. LOL We are two peas in a pod aren't we?